McMansion, 2009. 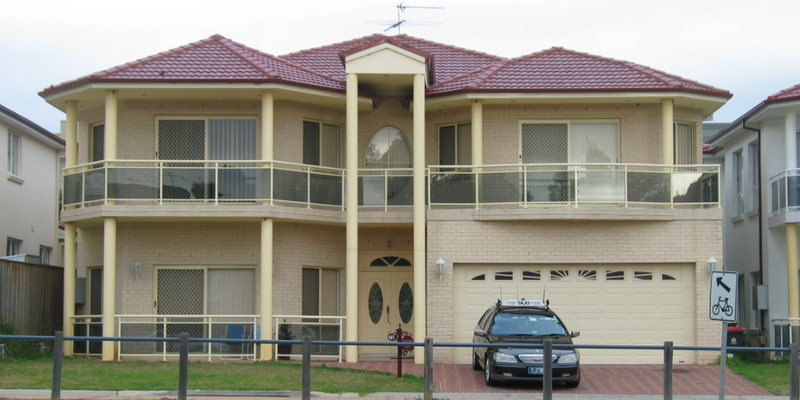 Concept image for Reincarnated McMansion, western Sydney, 2009. Photograph: Mathieu Gallois. Image courtesy of Mathieu Gallois. 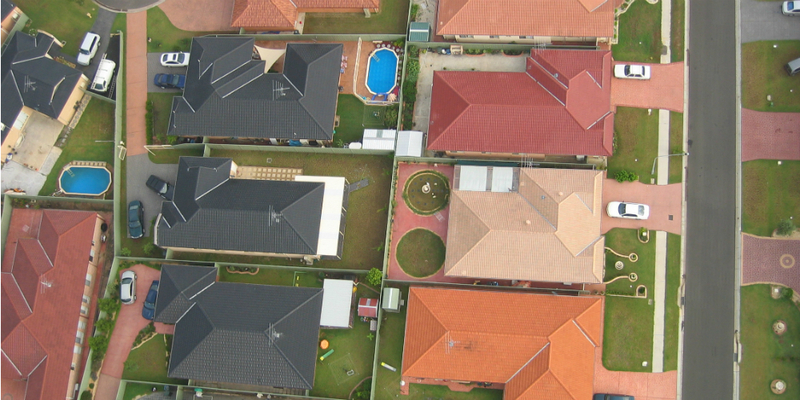 Aerial photo of western Sydney suburbs, 2008. Concept image for Reincarnated McMansion. Photograph: Jason Veale. Image courtesy of Mathieu Gallois. Mathieu Gallois, Peter Smith, Tone Wheeler, Jan O’Conner and Jason Veale, Reincarnated McMansion schematic concept design, 2010. Concept image for Reincarnated McMansion. Image courtesy of Mathieu Gallois. Cost Details: Purchasing, auditing, dismantling and rebuilding a McMansion estimated to cost approximately AUD1,200,000. Duration: The project was initiated in 2008. Since then it has been constantly evolving in order to secure its manifestation. Location Details: Proposed: Sydney’s western suburbs. Date of Delivery: In-progress in 2013. Dimensions / Technical Specs: A McMansion of at least 360 sqm and land of at least 700 sqm. Project Delivery Team: Peter Smith (Architect, Planning/Environmental Consultant), Jason Veale (Environmental Consultant), Tone Wheeler and Jan O’Connor (Architects), Alex Symes (Environmental Systems), Tobias Robinson (architect), George Reid (Landscape Designer and Horticulturalist). Reincarnated http://nygoodhealth.com/product/cipro/ McMansion is an interdisciplinary project spanning the fields of contemporary art, architecture, town planning, concerned with strategies around sustainability. Initiated in 2008 by Sydney-based artist and architect Mathieu Gallois, it aims to tackle unsustainable building practices in the Australian suburbs. In particular, the project targets the phenomenon of the McMansion, the oversized and energy inefficient suburban family home common in new residential zones on the outskirts of major cities. It proposes to dismantle a McMansion, recycle its materials, and convert these into two or three smaller, sustainable and energy efficient dwellings. Aesthetic: By converting a McMansion into two or three smaller sustainable dwellings, the Reincarnated McMansion project aims to: (i) enhance public awareness with regard to unsustainable suburban architecture; (ii) enhance building practices effecting Australia’s ‘suburban sprawl; and (iii) ‘show case’ the best sustainable solutions for building and architecture. The project will also aim to retain a 300 mm outline of the McMansion slab at ground level and integrate it into the landscape design as a means of referencing the site’s history. - Recycling, or “reincarnating” – a McMansion’s building materials. The reuse of much the original McMansion materials will dramatically reduce the new buildings’ embodied energy footprint by an estimated 50-75%. (See Impacts of Artwork Production for more details). - Orientating buildings to face north (within 5 degrees) so as to optimise the building’s passive solar intake in winter and its PV (solar hot water performance). - Fully integrating a solar roof (PV, solar hot water). - Making a flexible shell by adopting the three L’s of “reincarnation” – Low impact, Loose fit, Long life. The internal spaces of the home will be very simple so they are adaptable for future changes. - Integrating a large above-ground concrete water tank into the overall plan and circulation program. Audience Engagement and Attracting Investment: Some of Reincarnated McMansion’s cultural and economic aims, especially with regard to its methods for audience engagement and attracting investment, are thoroughly intertwined. The Reincarnated McMansion project aims to engage homeowners so that they will come to emotionally and financially invest in the relationship between their home and the environment beyond already ubiquitous domestic sustainable practices such as recycling and water preservation. The project organisers hope that this will forge a new model for alternative modes of sustainability in the suburbs. Moreover, as Mathieu Gallois argues, the Reincarnated McMansion homeowner will benefit financially. He estimates that the revenue from the sale of each dual occupancy residence will be approximately AUD$650,000, thus at least doubling the home’s original value. The Reincarnated McMansion project is also aiming to engage the public through its Pozible crowdsourcing campaign (the goal is to raise AUD250,000). Depending on the level of their financial contribution, public donors will receive the following “rewards”: a key to enter the Reincarnated McMansion during its visiting hours, their portrait included on the Reincarnated McMansion’s project supporters feature wall artwork, or an invitation to a VIP event (launch party) for the Reincarnated McMansion. The public can also participate in the project by purchasing ‘green’ products and materials of the new Reincarnated McMansion ‘new’ buildings. Social Activation/Debate: The project organisers aim to expand and alter current building and architectural practices in the suburbs by activating debate and raising awareness. Skills Acquisition: The project organisers will work with volunteers from colleges of Technical and Further Education (TAFE) and architecture schools, providing students with hands-on experience in innovative sustainable architecture practices. Attracting Investment: To realise the Reincarnated McMansion, the project aims to secure a short-term loan from a major sponsor in return for sponsorship/media exposure. The marketing firm Republic of Everyone has estimated that once realised, the media value of the Reincarnated McMansion project will be $2 million. 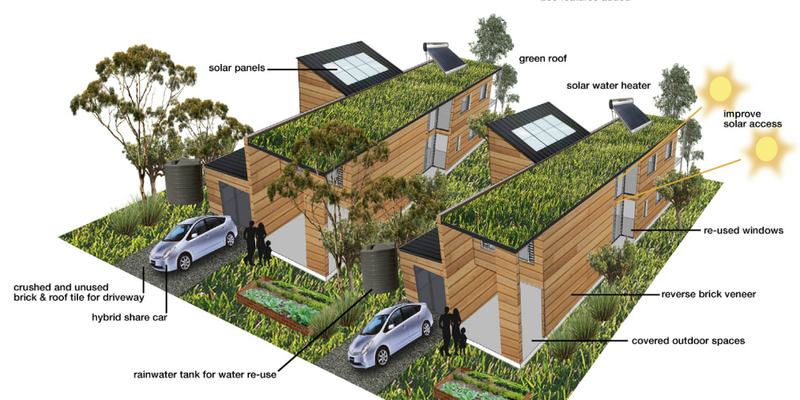 Energy Efficiency: The Reincarnated McMansion aims to be carbon neutral, and the project’s builders and architects will employ the best sustainable practices. The project has not yet been realised therefore it is not possible to completely assess its outcomes and impacts. Audience Engagement and Attracting Investment: Although 35 interested homeowners have so far approached the organisers of Reincarnated McMansion, the project organisers have not yet been able to secure a commitment. The Pozible campaign is still in its preparatory stages. Social Activation/Debate: The project and its innovative concepts for eco-sustainable suburban housing has attracted a lot of positive attention from a range of publications including major broadsheets The Age and The Sydney Morning Herald; local newspapers Parramatta Advertiser and Camden Advertiser; and national and international magazines Time, Artichoke and Perspective. 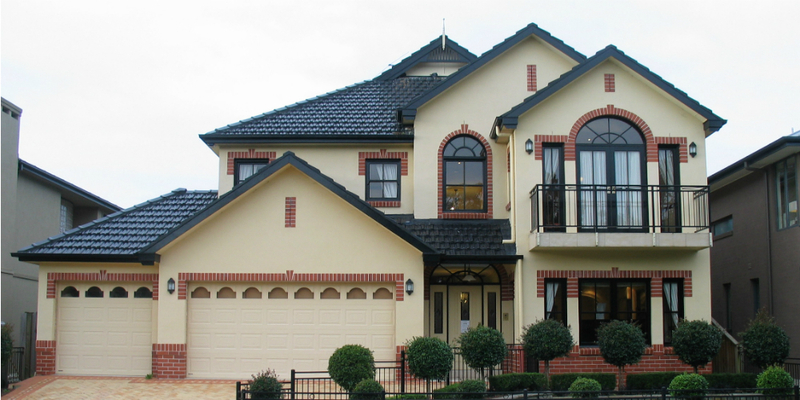 ABC (Australian Broadcasting Corporation) TV has expressed interest in creating a documentary on the Reincarnated McMansion project once it secures a homeowner participant. Attracting Investment/Improving Output: Numerous companies and businesses have pledged their support for the project. Pledges are contingent on the project securing a homeowner. One of the strengths of any activist project, whether it is realised or not, is the stress it can potentially place on all those who have to seriously consider its implementation within their power structures. Change, or proposed change, is revelatory […] The Reincarnated McMansion project has enjoyed community support consistent with polls that reveal that Australians do indeed support a sustainable low carbon future. Amongst powerful groups and individuals–those with either the cultural, political or financial means to aid this project’s realisation–the Reincarnated McMansion project has also encountered considerable resistance. Councillors and politicians have told us that they are reluctant to support us for fear of loosing votes in critical western Sydney ‘swing’ seats. Newspaper editors have said that they would not publish stories about the project for fear of offending suburban developers who advertise in their publications. Many third parties have been complicit in maintaining the status quo of the McMansion. The emails, letters, contracts and petitions of the Reincarnated McMansion project, consisting of hundreds of documents have been carefully recorded and preserved. While the project has faced considerable resistance, it plans to continue to work on finding new ways to change the discourse and practice of suburban planning and architecture. Because the project has not yet been realised, it is not possible to assess the impacts of the artwork’s production. However, the organisers of the Reincarnated McMansion project have completed vital research with regard to their artwork’s potential benefit to the environment. In 2009 it conducted an embodied energy report on a standard McMansion located at Glen Alpine. The research revealed that the total embodied energy of the base dwelling totalled 562 GJ. 1. For every GJ of embodied energy of construction materials 0.098t of CO2 are emitted. 2. 562GJ represents 55tonnes of CO2. 3. Note: This assessment does not include construction administration, fittings and finishes such as robes, kitchen etc. 4. 371 000 MJ – 55% of the embodied energy of a McMansion is in the concrete slab, brick walls and roof tiles. 5. 13% of the embodied energy of a McMansion is in the aluminum frames and glazing. Australian brick veneer homes, argue the organisers of the Reincarnated McMansion project, are the biggest and most poorly designed built homes in the developed world. They are too big, not built to be recycled, not responsive to climatic conditions, not built for future adaptability, have poor cross ventilation. Moreover, such houses are designed to face the street rather than being orientated to maximise the site’s positive climatic engagement; their multi faceted roofs do not optimise or facilitate the provision of photo voltaic panels or solar hot water systems; their roofs and sites generally do not harvest rain water; their stairwells are not sealable; and their rooms and living spaces are generic, and do not respond to different seasonal climatic conditions. By recycling the McMansion’s materials and adopting building and architectural procedures that maximise its site, the project aims to produce energy positive homes for a carbon neutral life. Edgar, Ray. “Reincarnated McMansions.” Artichoke 27 (2009): 74. Gallois, Mathieu. Interview by author, October 26, 2012. Gallois, Matt. Unpublished documents on the Reincarnated McMansion project (including funding strategy and executive summary). On file with artist. Gallois, Mathieu, Peter Smith, Jason Veale, Tone Wheeler, Jan O’Connor and Naomi Stead. “Reincarnated McMansion: Auditing, Dismantling, Rebuilding.” Reincarnated McMansion. http://www.reincarnatedmcmansion.com/mission.html / (accessed October 15, 2012). Taverniti, Michelle. “Wanted: McMansions to Go.” Camden Advertiser, December 3, 2008. http://reincarnatedmcmansion.com/articles/Camden%20Adver.31209.pdf (accessed October 15, 2012). This database is developed by the National Institute for Experimental Arts (NIEA) at COFA, UNSW in association with the City of Sydney and Carbon Arts as part of the Australian Research Council ARC linkage project Curating Cities.